Epigallocatechin gallate (EGCG) is the most abundant component in green tea extract, that has powerful antioxidant and antiviral effects. It has been previously reported to inhibit HCV entry via several mechanisms. 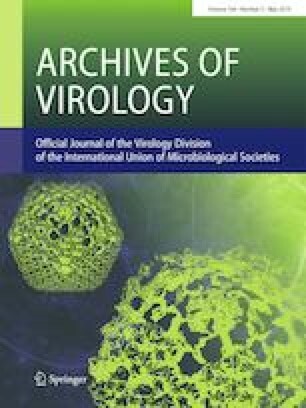 Hence, this study aimed at further investigating the potential impact of EGCG on HCV entry through regulation of the expression of tetraspanin receptor CD81 by the novel predicted miR-548m. Liver biopsies were obtained from 29 HCV patients and 10 healthy controls for expression profiling. Huh7 cells were stimulated with EGCG and subsequently miR-548m expression was assessed. Naïve, HCV- ED43/JFH-1 and HCV-JFH-1 infected Huh7 cells were transfected by miR-548m mimics and inhibitors. Consequently, CD81 protein and mRNA levels were assessed using flow cytometry and qRT-PCR, respectively. Additionally, these cells were used to investigate HCV permissiveness into Huh7 cells using qRT-PCR for viral quantification. Direct binding confirmation of miR-548m to CD81 was done using luciferase reporter assay. In-silico analysis revealed miR-548m to have two potential binding sites in the 3’UTR of CD81 mRNA. EGCG boosted miR-548m expression in Huh7 cells. Additionally, miR-548m caused a downregulation of CD81 protein and mRNA levels as well as reduction in HCV infectivity of Huh7 cells. Luciferase binding assay confirmed the binding of miR-548m to CD81 mRNA at the two predicted binding sites. Intriguingly, miR-548m expression was not detected in healthy liver biopsies but was found in liver biopsies of HCV patients. This study shows that EGCG might act as an anti-HCV agent that reduces cellular infectivity via enhancing miR-548m expression and repressing CD81 receptor.